We'll baby your baby like it's ours! A well-tuned and properly set-up piano will inspire your music making. We care for all pianos equally. Your piano should be ready to play whenever you sit down, whether it is for a couple of hours every day, once a month or a few times a year. First, we evaluate the overall condition of the piano. We measure the pitch of the piano. We make sure everything is working properly and make note of issues we find. Keys, outside of the case and parts of the interior are cleaned. Then we tune. With the wide swings of humidity conditions in our region, the pitch of most pianos varies greatly. Winter dryness pulls the piano below the standard A4=440 Hz. Summertime and its high humidity can pull the pitch above the standard. For most pianists notice an out of tune piano when unisons are off and chords sound a little ripe or funky. 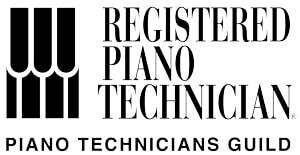 During the 2-hour appointment, we’ll ensure the best tuning possible for your piano. If it’s been a while since your last tuning (over a year), expect a double tuning session – a major pitch correction (when A4 is +- 20 cents outside the norm) and a fine tuning. Minor repairs and adjustments to regulation or voicing will be done, if there is time. Additional repairs, replacement of broken strings, more extensive regulation/voicing will be billed at the hourly rate. All additional work is done only with your approval before hand. Our goal is for you enjoy your piano, each and every time you sit down to play. Any additional repairs that can be done during the visit are billed at the usual repair rate. At The Piano Practice, we believe life is too short to play a difficult piano. Some pianos are easy and fun to play, responding to the musical needs of the musician. More pianos, however, are difficult to play and make you work twice as hard for the same result. When key response is uneven, tone is harsh or the tuning painful, too many people walk away from the piano and never return. Too often we hear the regret of not sticking with playing because the piano was in terrible condition. We don’t want that for you. What makes The Piano Practice different? We’re working musicians – pianists and organists. We understand what musicians want from their instruments. When you tell us what you need, we know how to make it happen. 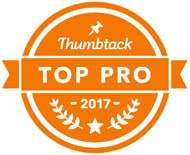 We are committed to being the go-to technicians in the area. 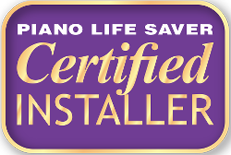 We have the training and expertise to set your piano up just right. We guarantee you’ll be happy with our work. Save when you pre-pay! Click here.